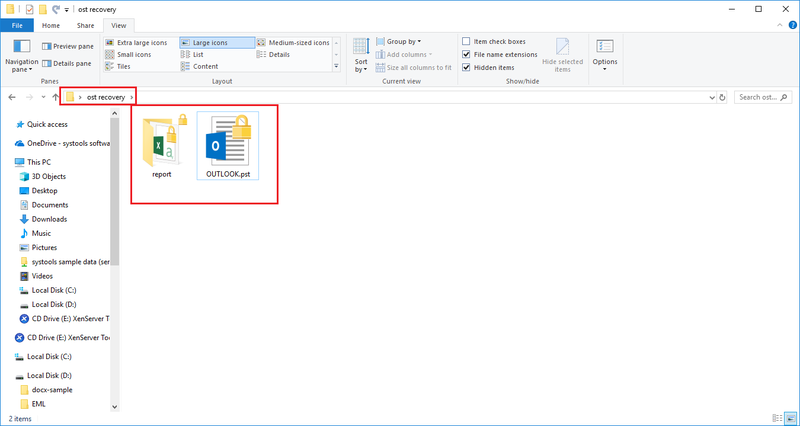 Restore OST Files Outlook 2019, 2016, 2013, 2010, 2007 etc. 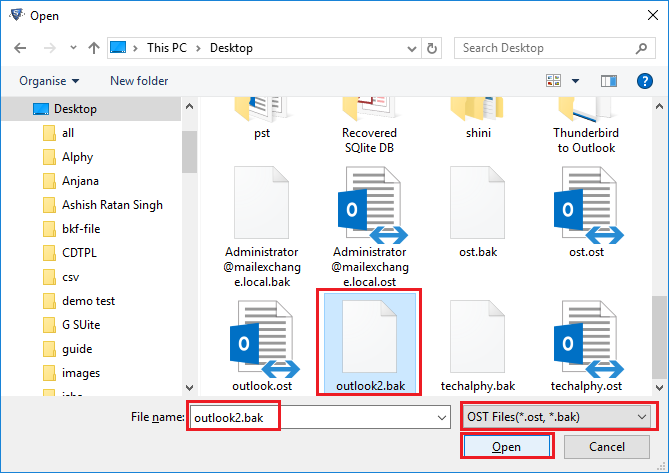 Support OST Recovery for MS Outlook 2019, 2016, 2013, 2010, 2007 etc. OST File Recovery Tool is capable to recover all the emails that are deleted permanently. It helps in restoring email items from OST files such as contacts, calendars, deleted emails, tasks, etc. Once the recovery process is completed, it saves resultant data into PST files and then users can access the files in MS Outlook very easily. Moreover, the OST files of any size can be recovered with this software. Once the ost recovery process is done via this application, users can extract OST file into various file formats such as PST, MSG, and EML. After the conversion, the data can be access into Outlook, Windows Mail, Outlook Express, and many more email clients. One more option provided by the software to the user is to split large size PST file to avoid any kind of corruption. They just need to put the desired size and can divide PST files. 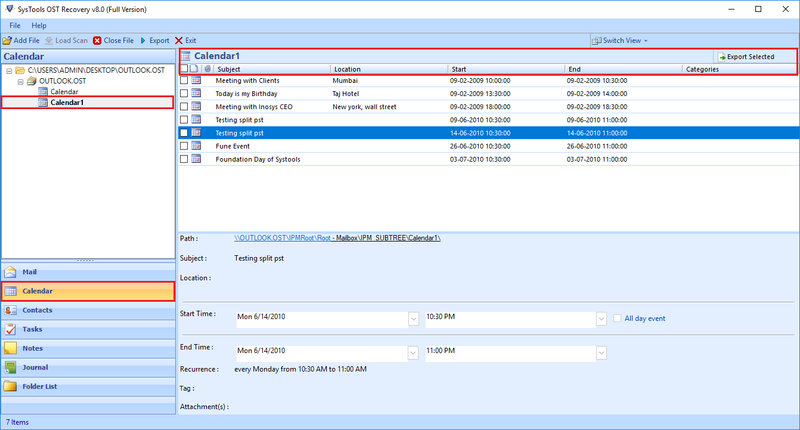 OST Recovery utility creates an instant preview or report of all the components of OST files such as Tasks, Emails, Notes, Contacts, Journals, Calendars, etc. with the count of the items. It shows the emails in normal view along with the associated attachments. In addition, it keeps the Meta properties such as To, Bcc, Cc, received date, sent date, etc. intact. The original format is also remains the same as it is before the recovery. The OST recovery software allows the user to choose only those emails or items that are required. There is no need to select all the emails of OST files to perform recovery and migration process. Users can save the desired emails/items from the recovered Outlook OST files by mark or unmark the respective items. After this, they need to click on export and with this; all the selective files can be extracted. Moreover, specific files and folders can be selected with this tool. 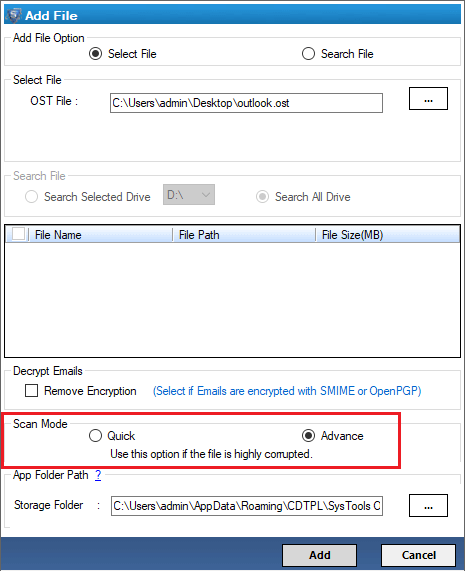 Exchange OST Recovery Software has the potential to restore Outlook OST files with the option of scanning. It is possible that there are some files, which are highly corrupted. Therefore, it comes up with two options to scan the files. One is “Quick Scan” and the other one is “Advanced Scan.” Quick scan option is used to repair small amount of corruption, whereas with advance scan option, users can repair any files regardless of the amount of corruption. The tool maintains the internal structure of the folder/folders of OST files while converting them into PST format. There will be no changes, which users need to face after the completion of the process. In short, the hierarchy of the files or folders is maintained. Along with this, it is easy to extract specific OST data files with the help of date range filters. Yes, once the date filter is applied to the emails users can extract only the desired files. 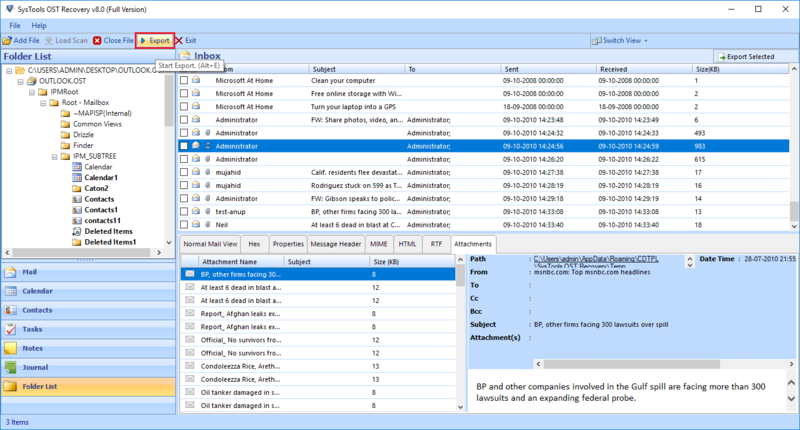 The OST file recovery software provides Search feature. Due to this, If you forget the location of your .ost file. Then the software search automatically. To apply this search feature, the software will ask you to select either Search Selected Drive or Search All Drive option. After the scanning of OST file, the software will list all folders in left panel of software. To view emails, simply explore the folder and view all emails in right panel along with all attributes. 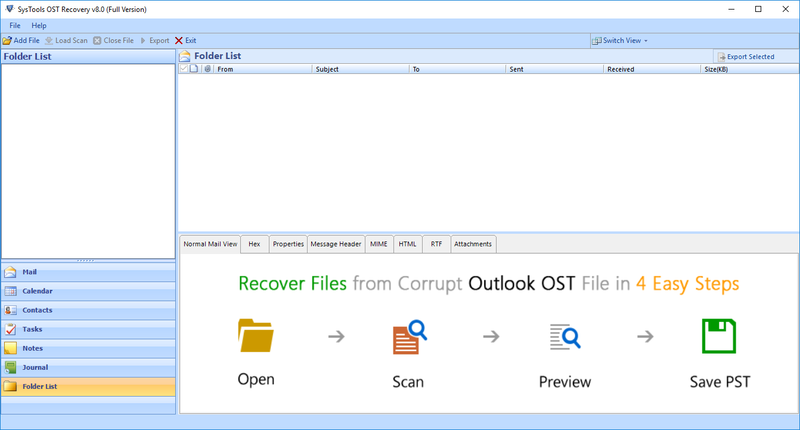 The OST file recovery tool will enable you to view Normal Mail View, Hex, Properties, Message Header, MIME, HTML, RTF and Attachments. Note: Software will get delivered on your registered email id, within 15 minutes after placing the order. 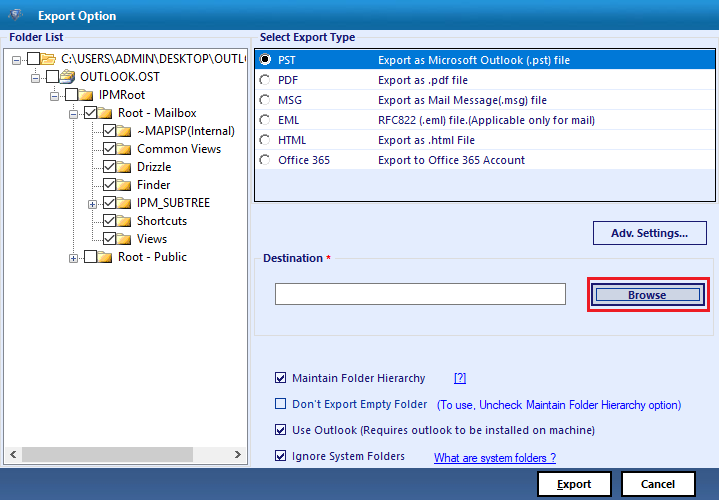 Does the application can export data without the installation of Microsoft Outlook? 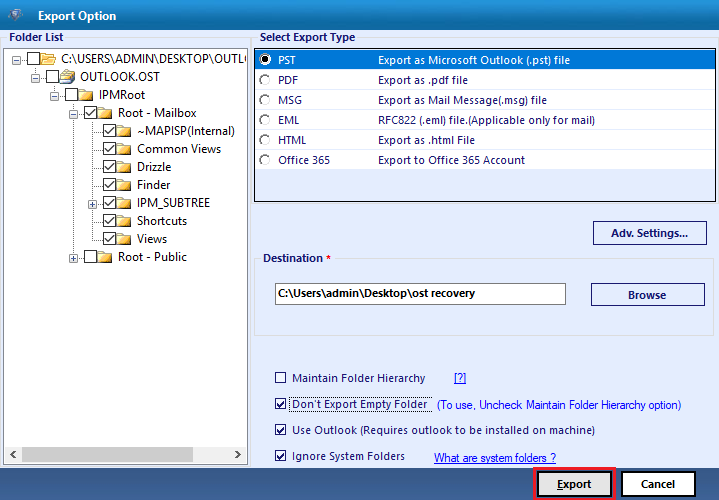 Yes, you can perform the complete process of recovery and export files without Outlook. Can the software recover OST files data that are highly corrupted or damaged? Yes, Exchange OST Recovery Tool gives an option to restore highly corrupted OST files data with Advance Scan option. Is it possible to recover deleted messages by using this software? 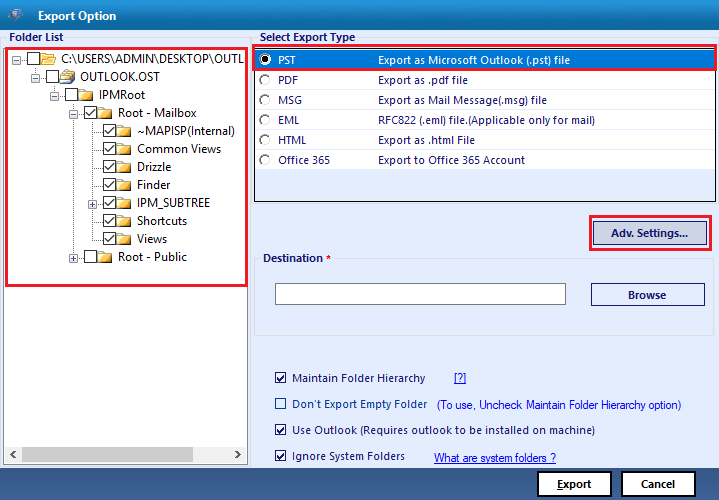 Yes, our tool can even regain or restore Outlook OST messages that are deleted. Does the installation of MS Outlook is mandatory to convert files into PST with OST Recovery Tool? No, It is a stand-along utility and does not require installation of Outlook to perform conversion. Is there any specific number of OST files that I recover using this tool? 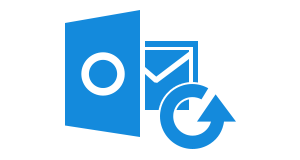 No, Outlook OST Recovery Software can repair and recover as many OST files as you want without any limitation. Firstly, launch the OST File Recovery Tool. For this, click on Start >> Search OST Recovery Utility >> Launch it. Now, a small window will appear browse the location of OST file from device. As soon as you do this, a window will appear again, from where you need to select OST file. Once the file is added, the tool will perform a quick scanning. In case of highly corrupted files, you need to perform Advance scanning. 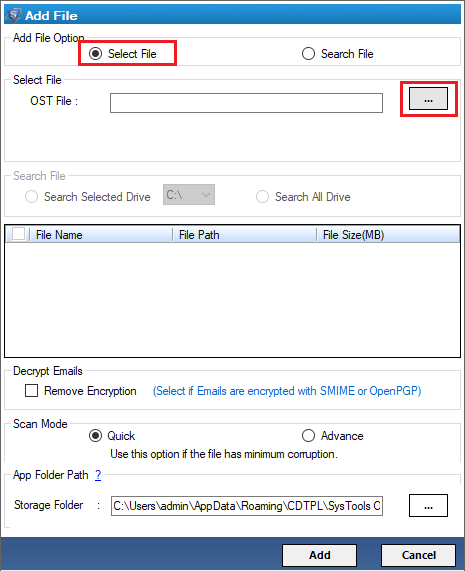 You will also see an option of Temp Folder Path; this is the location to keep the scanned copy of OST. Check Advance Scan Option and click on Add File. A progress report of scanning will be displayed. After the completion of the scanning, click on Yes. You can see the loaded files into the panel of software. The tool shows the files into Normal Mail View. Now, you can see the option of Switch View. This is the option to switch the view if needed. Once you have set the filter options, choose on the location to save the resultant file. In this step, click on Export. The tool provides you with the entire progress details of the tool. 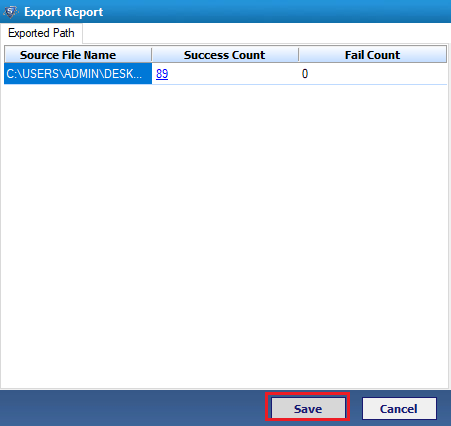 Once it is completed, click on OK.
Now software will generate export report in csv format. Simply save it where you want and click on Save. Finally, the process of conversion is completed. Go to the location where you saved the resultant file and view complete data. 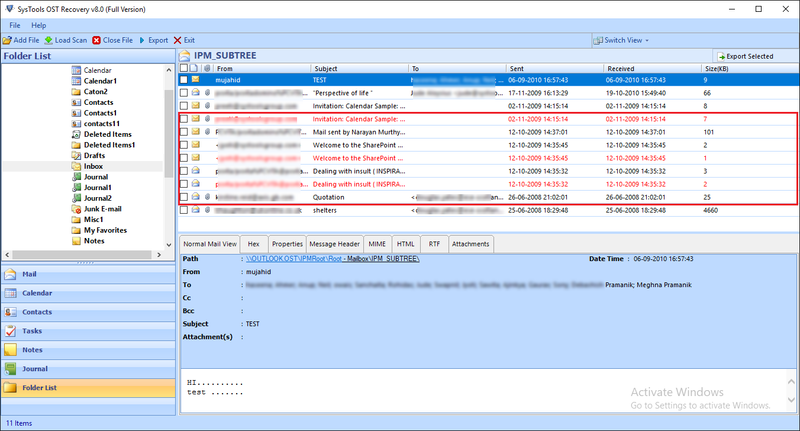 "I had bulk of OST files and due to some unknown reasons the files get corrupted. I have tried some manual methods to repair them, but failed to recover some OST files. Then, I looked for an alternative method to perform the same task and I came across Exchange OST Recovery Tool. With this, I have repaired all my OST files in almost no time. I liked the interface of software very much. Kudos! to the developers team." "I wanted to recover some OST files from a particular date range, but I found it tough to perform this process. However, I thought to give a chance to Outlook OST Recovery Software and it works in an amazing way for me. With its date range filter option, it becomes so easy for me to select only the required data. Hence, the process is completed very quickly. I have recommended the tool to my colleagues." Copyright © 2019 SoftwarePro™. All Rights are Reserved.